John Huber runs Picabo Angler in the Silver Creek Valley of Idaho. His 25 years fishing the Creek coupled with working alongside the Purdy family, whose ancestors homesteaded the same ground the family farms and ranches today. The Purdy’s close connection to Hemingway is on display in a fly shop full of history. John Huber runs Picabo Angler in the Silver Creek Valley of Idaho. Silver Creek, Idaho is certainly known among fly anglers as one of the pinnacle and sacred waters in the sport. A technical dry fly fishery that forces the best out of anglers. John, lives and guides just a few steps away from this famous fishery. Listen in to find out how to conquer this incredible fishery. His 25 years fishing the Creek coupled with working alongside the Purdy family, whose ancestors homesteaded the same ground the family farms and ranches today. The Purdy’s close connection to Hemingway is on display in a fly shop full of history. 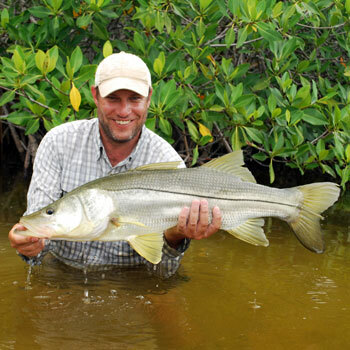 His fly fishing background is rooted in decades of fishing and guiding the salt and freshwater. His career in the industry has taken him all over the world. He has spent years in the Everglades and Caribbean, and decades in the Rockies. John hosted Plum T.V.s “Sun Valley Show” for several seasons and he is also the author of the Fly Fishers Guide to Oregon and Lessons of Fairsized Creek. He has written for Big Sky Journal, BigLife Magazine and Fly Fisherman Magazine. The later putting him in their 40th Anniversary issue and timeline for his pioneering take on the sport. John helped open the door to Scorpion Reef for fly anglers and also wrote about the Snow Trout of the Himalayas, all while learning to unlock the nuances of his home water Silver Creek. Silver Creek, Idaho is certainly known among fly anglers as one of the pinnacle and sacred waters in the sport. A technical dry fly fishery that forces the best out of anglers is what keeps John in Idaho. “I never get enough of the challenges The Creek throws at me. I love the constant humbling and the big rewards. I also love the Creek for the quietude and effect it has on an angler’s soul. It is a special place for trout anglers around the world.” He lives in Picabo, Idaho, population 85 because it’s as close to the Creek as a person can live. His commute is two blocks to Picabo Angler where you can find him most of the summer season.